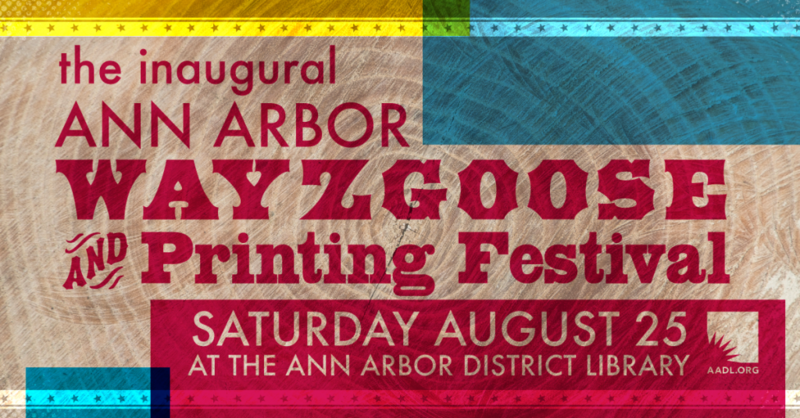 The Ann Arbor District Library is accepting vendor applications for the first ever Ann Arbor Wayzgoose & Printing Festival! This festival will be August 25, 2018 at the library and will feature all kinds of printmakers, and will have demonstrations and workshops too! Wanna apply? Check out more info here!